Canada’s largest non-bank originator and underwriter of mortgages saw a 14% drop in originations in the three months to the end of June 2017 compared to a year earlier. In its newly-released financial results, the lender showed that total mortgages under administration was up 3% to a record $99.5 billion but originations slipped to $4.7 billion from $5.5 billion a year earlier. “Despite lower originations resulting from government policy interventions, core earnings were largely unaffected as we generated consistent results from both our securitization and servicing activities. 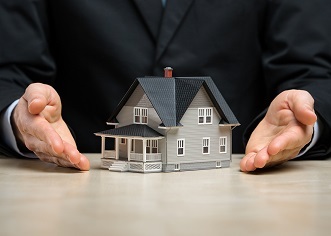 Taking a broader view, the available insured residential mortgage market has contracted and competition has increased,” said First National’s chairman and CEO Stephen Smith. Total revenue was up 15% to $292.2 million while net income increased to $68.8 million from $41.2 million. Single-family mortgage originations of $3.3 billion in the second quarter of 2017 were 21% lower than a year ago, while commercial mortgage originations were 7% higher at $1.5 billion. “First National held its own in the second quarter despite new mortgage insurance rules, increases in the cost of portfolio insurance and regional government interventions including Ontario’s foreign buyer’s tax,” said Moray Tawse, Executive Vice President. The lender saw an average decline of about 30% in single family origination volumes in Vancouver, Calgary and Montreal and about a 5% drop in its Ontario and Maritime markets. “Despite these pressures, we still funded $3.3 billion of single family mortgages and renewed $1.3 billion, which we consider strong under the circumstances,” added Tawse.